Good hiking shoes are an absolute life saver. Peru’s beauty lies in the snaking hills and mountains. If you plan on heading to Cusco and then to Machu Picchu, you absolutely must be comfortable with trekking on cobbled steps and uneven terrain. These hikes usually begin in the morning, so pathways may be slick with overnight moisture or fresh rain. A non-slip soul may turn out to be a total godsend. Make sure they are well molded to your feet and provide high ankle support. The only way to be certain is to go to an actual store to try out various pairs. This will prevent an ankle sprain from derailing your entire holiday. Try to wear them around before you arrive in Peru to avoid the blisters that always accompany breaking in new shoes. Never bought hiking shoes before, no problem, here’s some advice on choosing the right shoe for you. If you don’t post high quality photos of your trip to Instagram or Facebook, did you even go? All jokes aside, Peru offers some of the most breathtaking vistas in the world. You won’t want to miss perfect shots of clouds over the Andres due to low light or low visibility. However, remember this camera needs to take some serious mileage over less than ideal terrain, and possibly inclement weather. You need a durable performer, that can survive constant motion and keep ticking. Don’t forget you have to carry it as well, so weight and proportions matter. 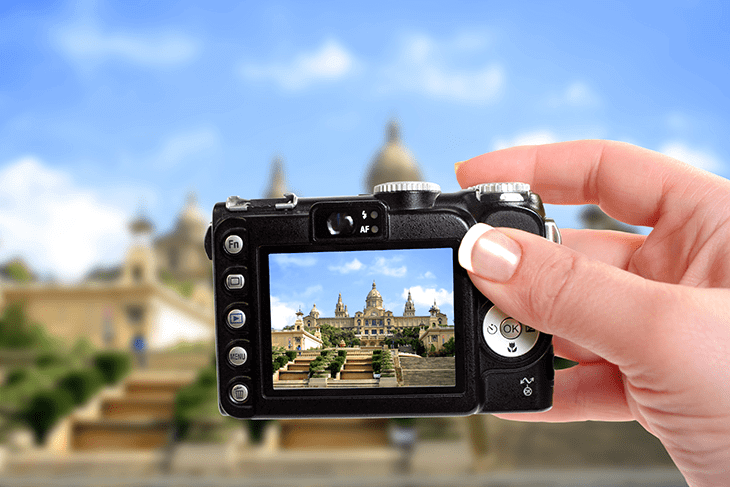 For a list of affordable and practical cameras that still perform, click here. While you may want to opt for a simple, compact point and shoot for convenience sake, there’s no substitute for playing with the manual focus. This allows you to capture the truly stunning light of the Andes on your own terms. You will be a bit heavier, but so will your friends jaws when you show them all your photos. Instead of bringing many shirts and one heavy jacket, it’s better to pack a variety of lighter options that help you stay warm or cool in various situations. For a full day trip, you need to prepare for cool mornings, hot hiking afternoons, and cold mountaintop evenings. Start the day wearing a t-shirt and light fleece or pullover. When you warm up stash the light jacket in your bag (we’ll get to that later) with a heavier zip-up. As it starts to cool down, apply the other layers as needed. This way you’re prepared for any shifts the weather may take while you’re out on the trail. Layering isn’t just about clothing, it also applies to your packing in general. 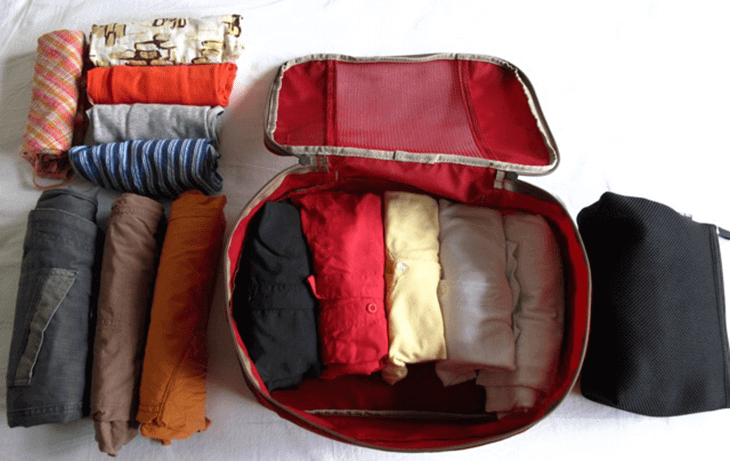 Packing Cubes are segmented capsules that help you keep your like items together. This is especially useful in Peru as your clothes may get muddy, dirty, and wet along the road. Keeping the rest of your close clean is essential to maintaining a happy journey. Also, they help keep toiletries and medications safe, dry, and compact for those pesky airport security checkpoints. 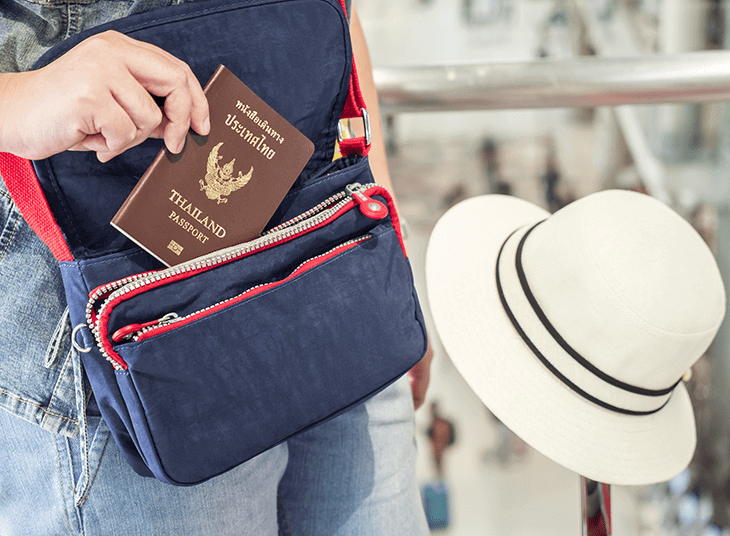 The most vulnerable and important item on any international journey is your passport. 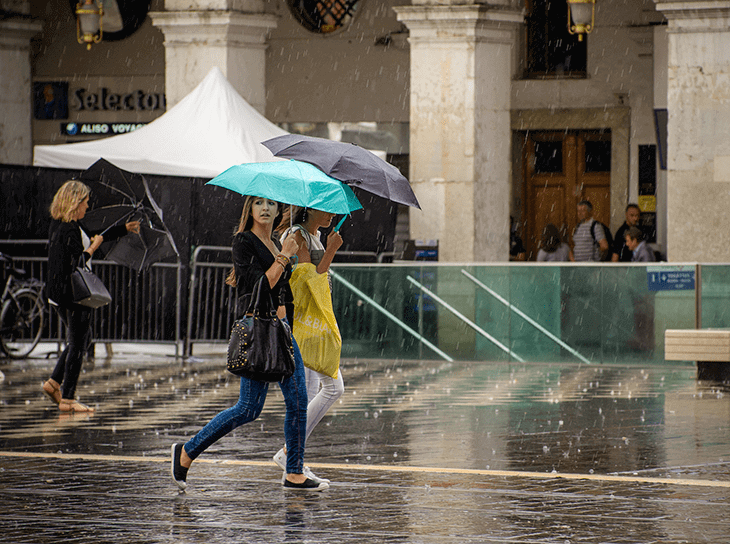 Keeping it safe and dry is the difference between easily skipping home and spending unnecessary time in a foreign embassy, or airport security office. 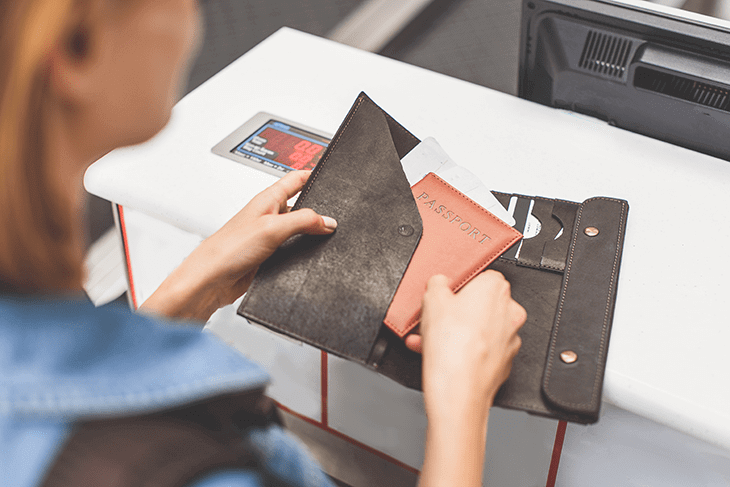 Keeping a low profile is an underrated facet as well, as scannable passports are a valuable commodity for identity thieves. Protect yourself with a sturdy Passport Wallet. Keep all your cards unassumingly safe at home while you hit the hills with peace of mind. Likewise, if you’re used to carrying a purse, Peru necessitates a certain level of protection. While violent crime is rare, pick-pocketing and purse snatchings are common in any touristic area. It’s important to pick a travel purse with an anti-theft strap, tough waterproof exterior, and zippable pouches. These are all dual function as they prevent damage from sudden inclement weather and potential thieves. When packing for Peru, always go with function over form. A lightweight umbrella will save you from being soggy and sour the whole way to the peak. The importance of dry shoes, socks, and clothes cannot be understated if it starts pouring halfway through your hike. Make sure you pick a compact yet sturdy option. If the umbrella cannot sustain possibly high winds, it’s not worth packing. For a definitive guide to selecting a travel umbrella, check this out. Finding the balance between size and performance is difficult but not impossible. Also, a waterproof case is an imperative feature in order to repack the umbrella after a brief downpour. Hydration is an absolute must at high altitude. What seems like a reasonable excursion can quickly become challenging for even the most serious outdoor enthusiasts. In between Cusco and Machu Picchu there are limited options for water, so it’s necessary to begin prepared and refill at the top for the equally difficult return. For this reason, I recommend a collapsable option, this will reduce weight when empty and provide more volume when full. Look for a leak proof seal, rugged materials and a sturdy strap or fob for clipping to your bag. You need a water bottle you can forget you have, until you need it. 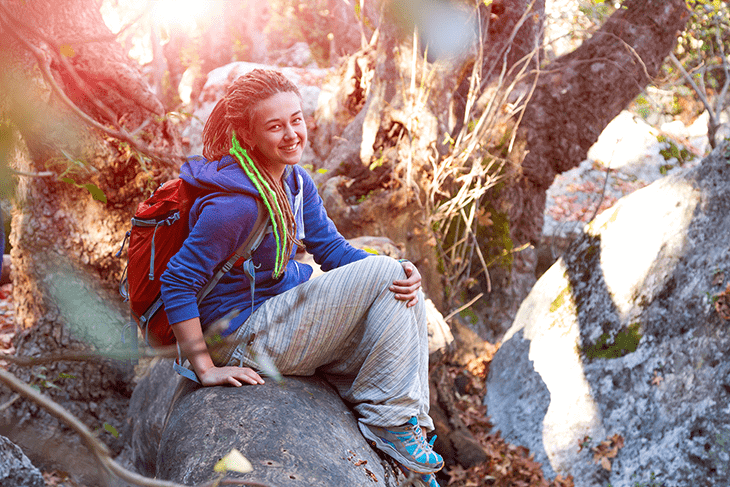 A good daypack makes those hikes a bit easier. 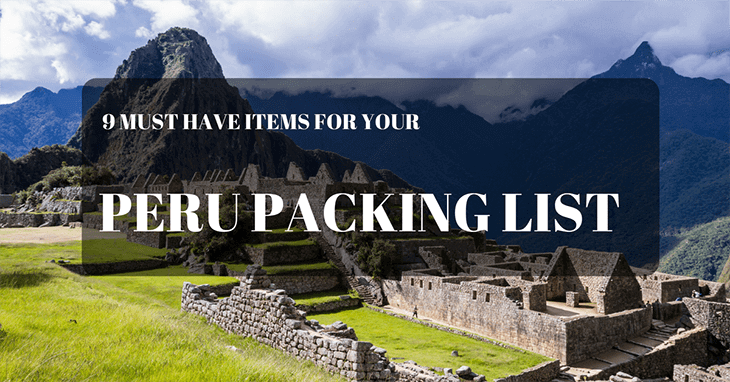 It is arguably the most important item on this list as it allows you to carry all the other essentials on your Peru packing list. You need to find the perfect balance of capacity and weight. Too heavy and you’ll strain your back. Too small and you’ll end up carrying items in your hands, which can be annoying and definitely dangerous while at risk for slight slips and slides. You need to keep your hands free to adjust to any changing conditions or sudden accidents. The perfect pack for a Peru trip could be the Osprey Daylite. It has room for your camera, extra clothes, passport wallet, travel umbrella, travel purse, and even one of your small packing cubes. It’s interior pockets are great for discreetly stuffing valuables. Whereas the accessible exterior pouches are made for snacks, maps, and quick access to a re-usable poncho for sudden storms. There is also an option for an integrated hydration pouch. This will distribute the weight of 1.5 L of water evenly across your back and put water easily within reach through an attached tube. The back is mesh vented meaning you’ll never get too sweaty. This daypack has room for everything you need, and at just under 1 pound (empty), nothing you don’t. Protect your investments by bringing a waterproof cover along with you on all your trips. This will keep your pack (and everything inside it) dry while not taking up much space. Peru is a challenging destination for many reasons. The diverse climates from coastal Lima, to hill-perched Cusco, to absolutely skyscraping Machu Picchu makes it hard to plan ahead. Hopefully, this article has helped you get started to packing light and smart for your Peru packing list. With some forethought hikers, history fans, and photographers will find Peru to be an absolutely mythical destination. If I left anything out, feel free to add it in the comments. Enjoy walking in harmony with the clouds.